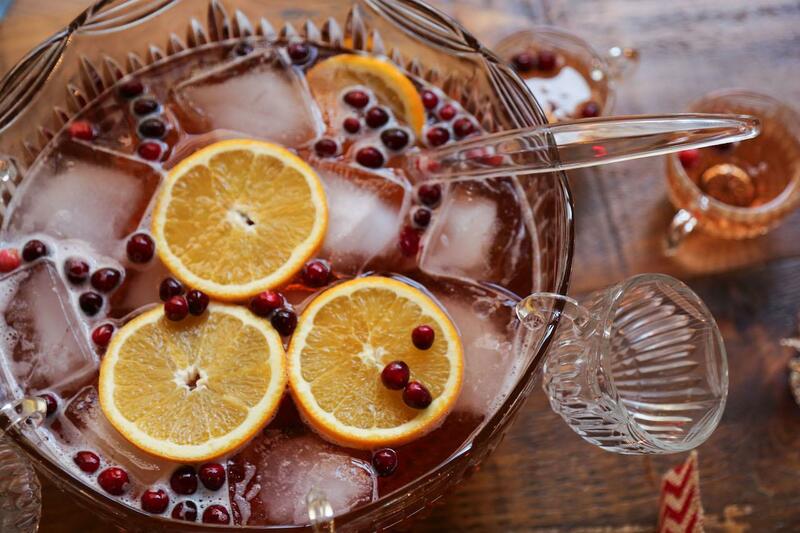 What to do in December: Meet David Chang and learn about power vegetables, drink a festive amount of “Jingle Juice” at a Winter Wonderland pop-up on a rooftop bar, party like Prohibition just ended, and, in the spirit of togetherness, celebrate two weeks of Chrismukkah like Seth Cohen taught us. Taste all the best parts of Marcus Samuelsson’s newest cookbook, dedicated to his acclaimed Harlem neighborhood restaurant, Red Rooster. Throughout the month of December, guests can enjoy a holiday cookbook tasting menu ($55) at Red Rooster which features festive recipes from Marcus’ new Red Rooster Cookbook: The Story of Food and Hustle in Harlem, including: Luica Bread; Pickled Beets with Spiced Pecans, Cress, and Cumin Sour Cream; Helga’s Meatballs with Braised Cabbage, Mashed Potatoes, and Lingonberries; Shoebox Ham with Jansson’s Temptation and Spicy Mustard. 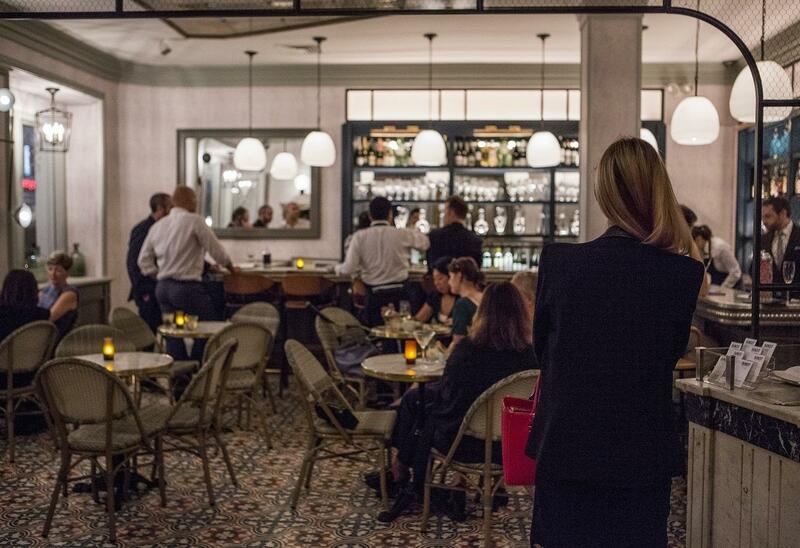 Reserve a spot by calling the restaurant at 212.792.9001. 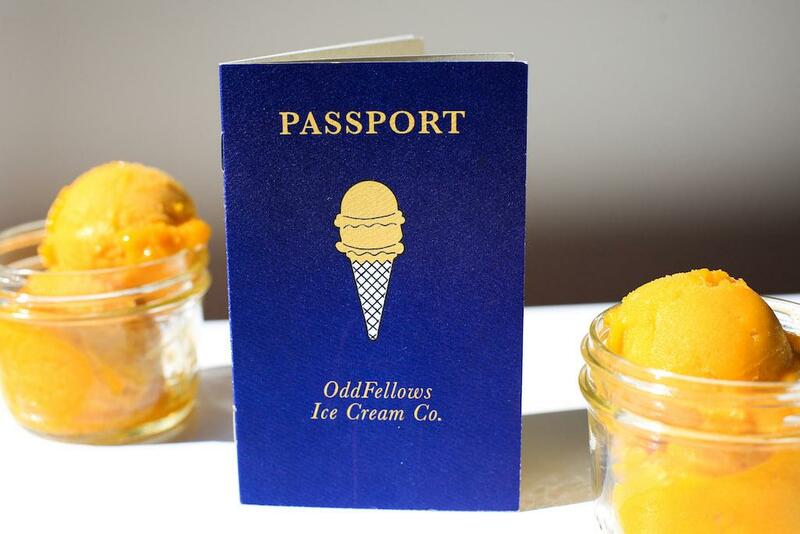 December Flavors at OddFellows Ice Cream Co. Address: Oddfellows Ice Cream Co.
Santa’s Milk and Cookies brought to you from the North Pole featuring Ice Milk Ice Cream and Shattered Chocolate Chip Cookies. This holiday season, Thomas Chen of Tuome in the East Village is launching a passed dim sum service including Duck Pho Soup Dumplings, Oxtail Croquettes, and more to compliment the ingredient-driven contemporary American menu that showcases his classic culinary training and Asian influences from his upbringing. Reserve a spot via Tuome’s website. Time: 4pm-12am Sunday – Wednesday, 4pm-1am Thursday & 12pm-1am Friday and Saturday. 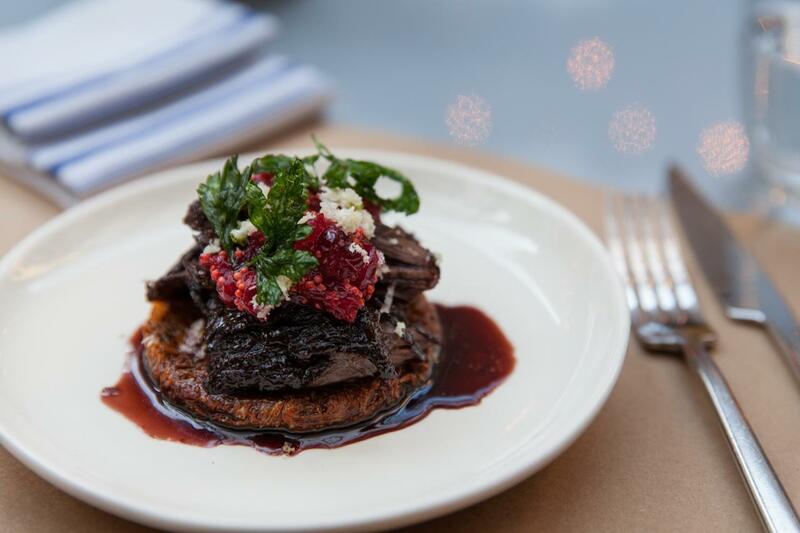 Harold’s Meat + Three will debut a Winter Wonderland pop-up at Good Story, the rooftop bar at the Arlo Hudson Square Hotel. Guests will be transported to a decked-out, cozy ski lodge in downtown Manhattan, decorated with all things holiday— tacky, fun, quirky and warm — adorned with flocked trees, holiday ornaments and festive lights galore. Moore will serve a menu of retro-inspired snacks, including cheese puffs, pigs-in-a-blanket, tea sandwiches, sausage balls, and various Christmas cookies. At the bar, guests can choose from a selection of holiday-themed cocktails including The Grinch, Jingle Juice (pictured), the Mulled Wine Sangria, and more. To countdown the days until Christmas, the Winter Wonderland will also feature a boozy advent calendar: one unique bottle of liquor each day, which will be poured complimentary for guests until it’s finished. Starting Monday, December 5th, Benoit’s revamped wine bar will launch a brand new music and wine series, held on the first Monday of every month, with a different champagne focus each month. The first of the series will kick off with Ruinart, with music by jazz vocalist Kat Vokes and her band. 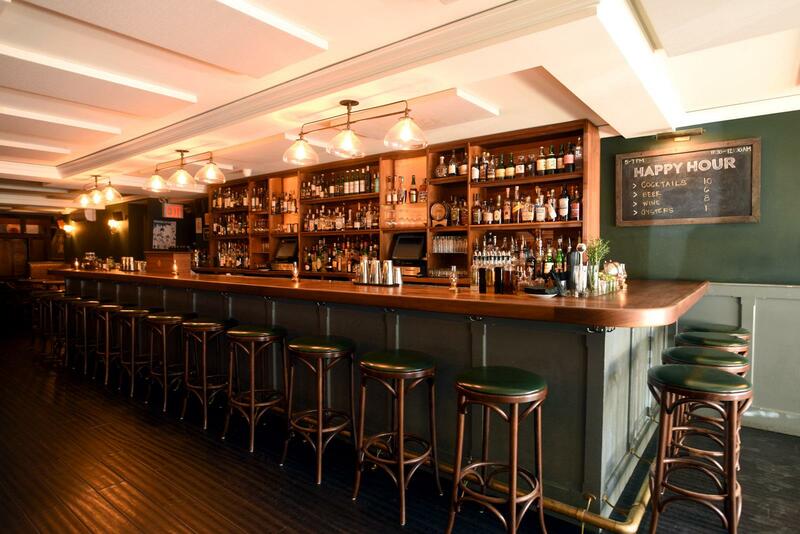 Analogue, the craft cocktail bar and jazz club in the West Village, will toast to its own third anniversary with a Prohibition Repeal Day soiree on Monday, December 5, from 9pm-12am. 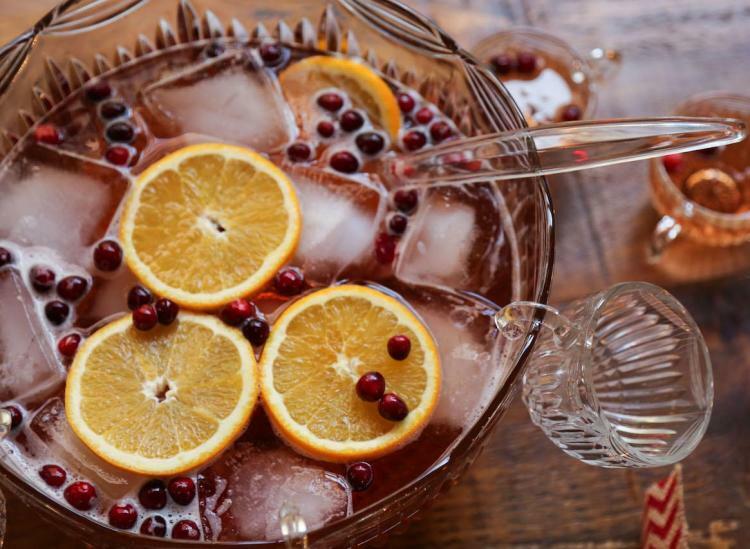 A Roaring Twenties-themed menu will feature Prohibition-era cocktails like the Mary Pickford, the Bee’s Knees (‘20s slang for “the best”), Sidecar, Sazerac, and the Manhattan. Live jazz music will set the mood for modern-day flappers and partygoers. Cocktails will be $10 and the food menu will also be available. 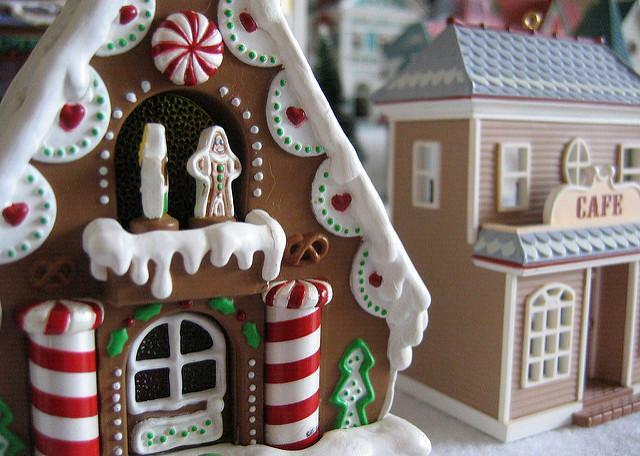 On Tuesday, December 6, Taste of Home will unveil a full-sized gingerbread village in Madison Square Park, featuring giant gingerbread houses complete with candy-covered details and marshmallow snowmen. Madison Square Park’s tree-lighting ceremony, featuring a 40-foot balsam fir brought to the Park all the way from Vermont, will also take place on Tuesday at 4:30pm, with “holiday treats” from nearby restaurants including Shake Shack and Hill Country Chicken. The installation will remain open through December 18. 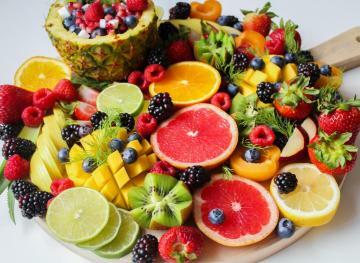 What is a power vegetable and how is it made? 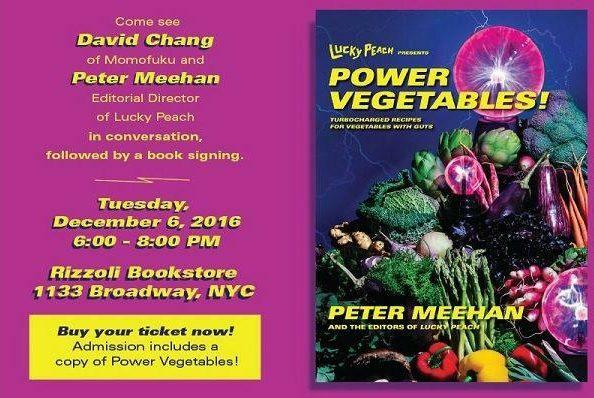 Chef David Chang and food writer Peter Meehan will be there to answer all your burning produce questions. Your ticket includes a copy of their latest cookbook, Power Vegetables, and lots of beer. 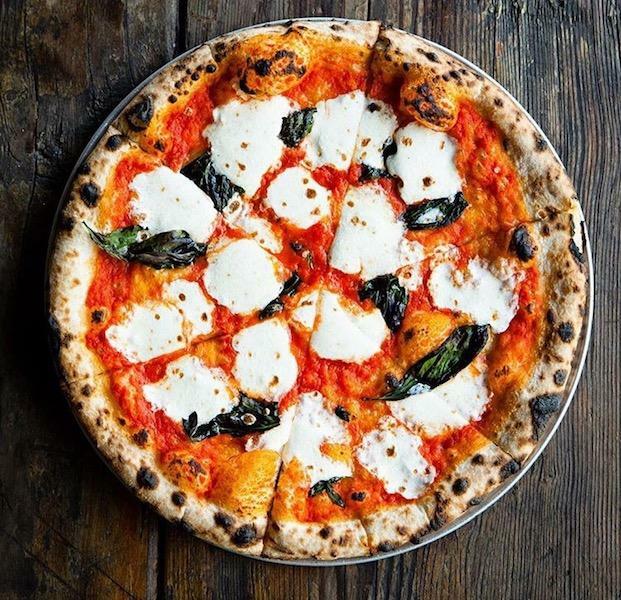 Learn how to make your own pizza, from the dough all the way to using the perfect wood-fired oven, under the guidance of the pizza pros at Roberta’s. Your $125 ticket includes pizza, beer, and wine. 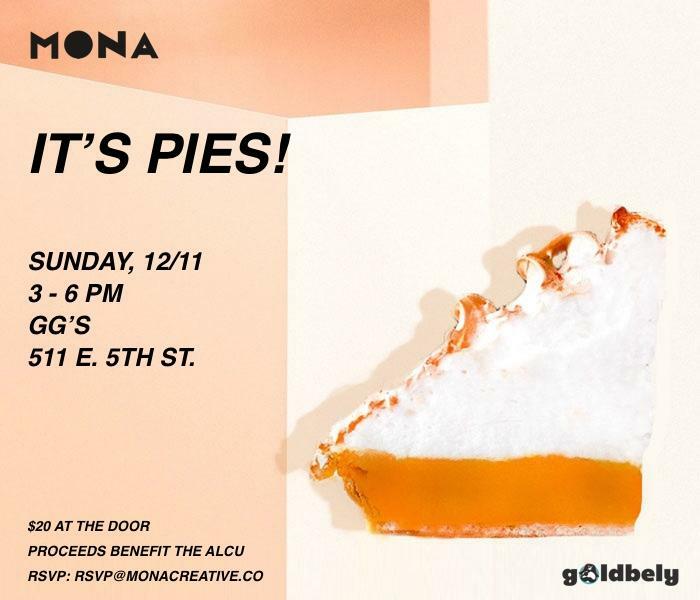 On Sunday, December 11, Mona Creative will host its 2nd Annual Holiday Pie Contest + Party, with proceeds benefitting the American Civil Liberties Union, at GG’s in the East Village. Pies (enter the competition here) will be judged by Helen Hollyman (Munchies), Dianna Daoheung (Black Seed Bagels), Kelly Dobkin (Zagat), food writer Gabriella Gershenson, Andy Baraghani (Bon Appetit), and Nicholas Morgenstern (GG’s, Morgenstern’s Finest Ice Cream, El Rey). Pizza pies, snacks, and cocktails will be supplied by GG’s. This year, Christmas Eve and Hannukah fall on the same day, which makes the holiday season a little extra special. 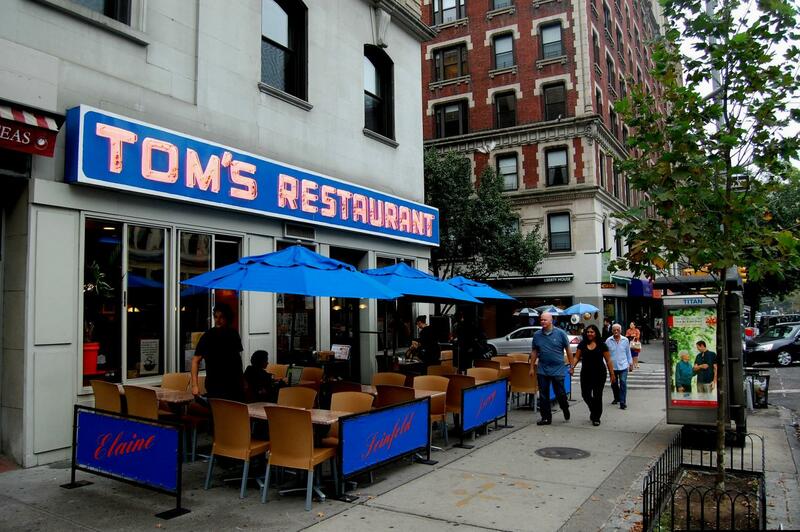 To celebrate, multiple restaurants around NYC are participating in at least 10 days of Chrismukkah (yes, from The O.C.) 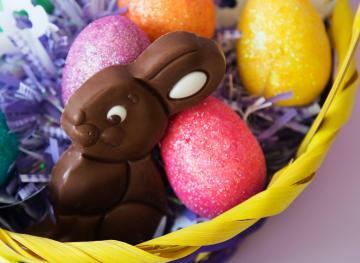 with an exciting variety of festive mash-up dishes and dinner specials. So far, participating restaurants include Seabird, Dinosaur BBQ, The Vine, The Todd English Food Hall at The Plaza, and Green Fig to name a few. Stay tuned for more details! 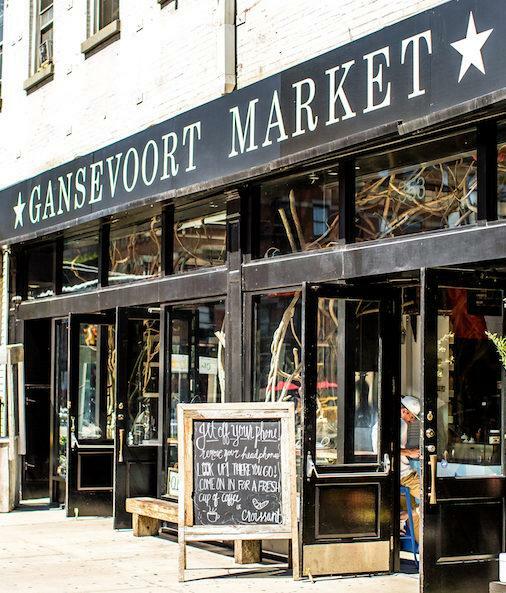 On Wednesday, December 14, Gansevoort Market will host a holiday party celebrating its new location at 353 West 14th Street, featuring complimentary tastings from multiple vendors, holiday caroling, ornament decorating, music, and a graffiti art show. Participating shops include Big Gay Ice Cream, Gotham Poke, Oppa, Grape Leaf, Mission Ceviche, The Meatball Guys, La Sonrisa Empanadas, and many others. 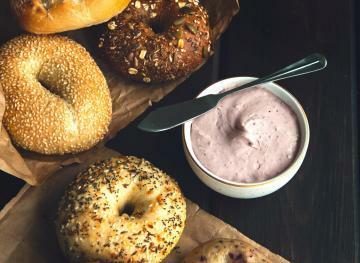 Join fellow latke lovers and a panel of celebrity judges in sampling as many latkes as you can eat, made by local restaurants including Baz Bagel, Jimmy’s No. 43, Mae Mae Cafe, Shelsky’s, Veselka, Burger & Lobster, Samui, and others. 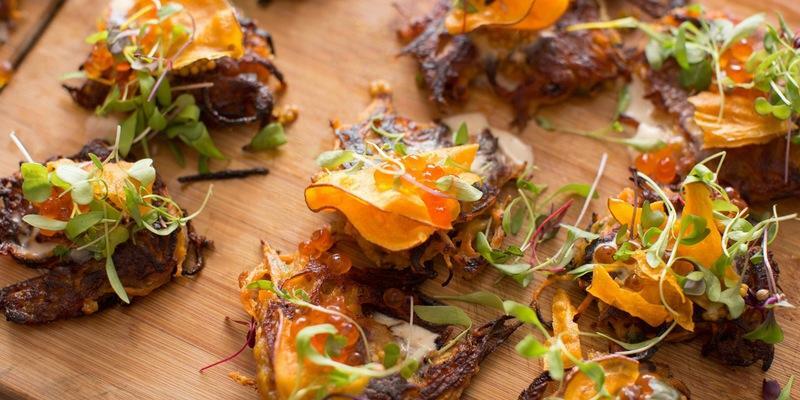 Net proceeds will go to The Sylvia Center, a nonprofit dedicated to fighting childhood obesity and food-related diseases through the spreading of culinary skills. Celebrate the winter solstice holiday “for the rest of us” with a very on-theme Festivus party and Seinfeld trivia night at the Tribeca Tap Room on Monday, December 19. To play, you’ll need a team captain to reserve a table for the group. Say goodbye or good riddance to 2016 with a magical and mysterious masked ball at Pier A Harbor House, complete with cocktails, a raw bar, costumes, fortune-telling, a live orchestra, henna tattoos, all-night champagne, and a great view of the fireworks. Black tie preferred, though cocktail attire is also acceptable. Masks will be supplied, though you may bring your own.